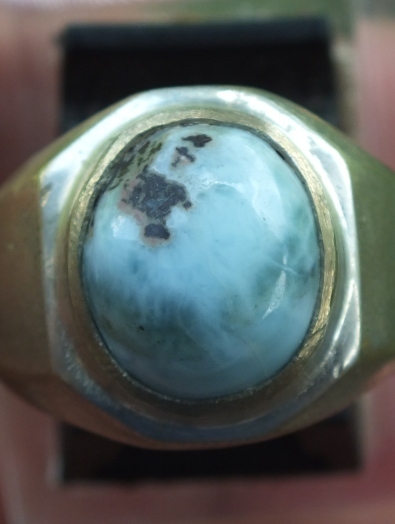 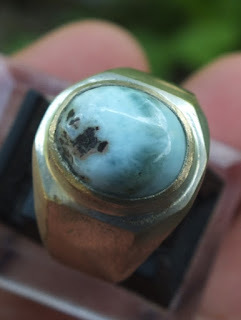 This is a very nice Natural Larimar set on a good 19mm alloy ring. 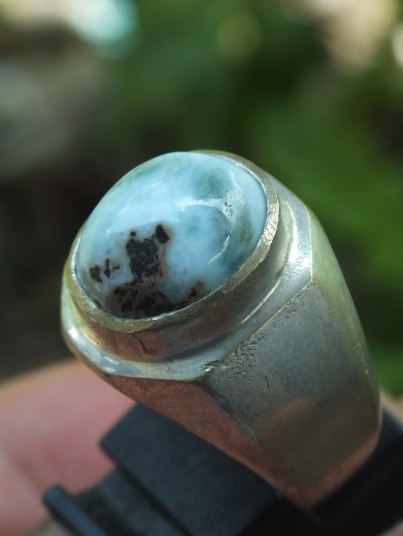 Larimar is originally came from the Caribbean sea. 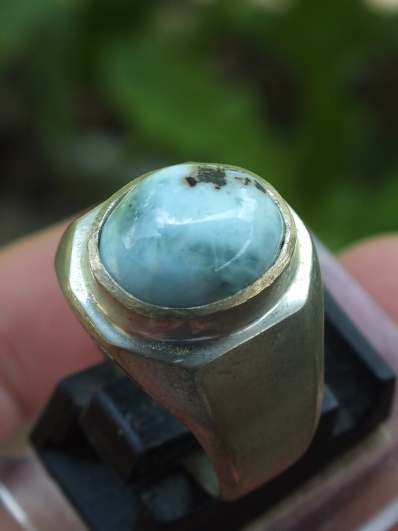 The size of the gems is (est) 11,6 mm x 9,9 mm x 6 mm. 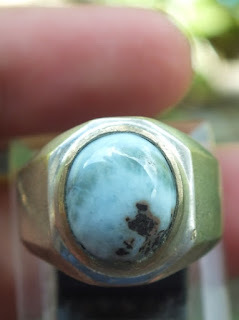 Get this natural blue color gems now! Natural Caribbean Larimar!